Description: This celebration of all things chocolate goes way beyond the familiar sweet-sized treat. 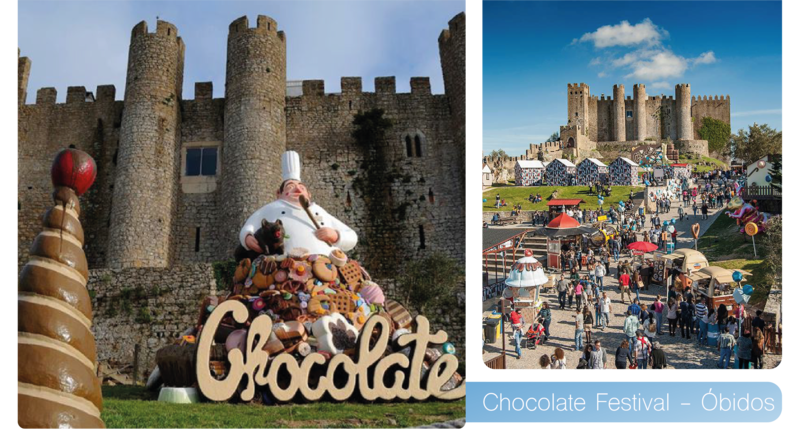 The annual festival on the Silver Coast, takes chocolate to new levels by incorporating it in everything from alcohol to artworks. There is even a fashion parade in which the models wear chocolate. Plenty of food and live entertainment on offer. Description: At carnaval time the whole Silver Coast region becomes one giant festival, with parades and parties in almost every town or village. 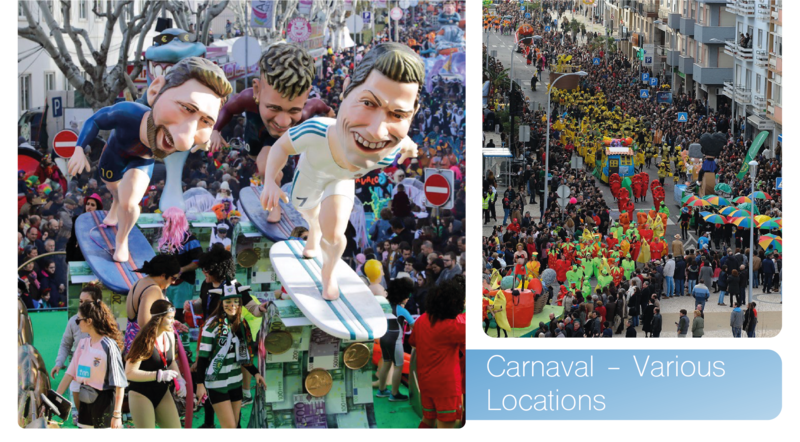 The biggest – and best known – are Torres Vedras, Peniche and Nazaré carnavals, but all are spectacular and great fun to watch. This is the time to get dressed up into outrageous outfits, lose all inhibitions and dance in the street all night. Definitely something uniquely Portuguese. Description: A wonderful jazz and music event that takes place for a whole month in random locations. 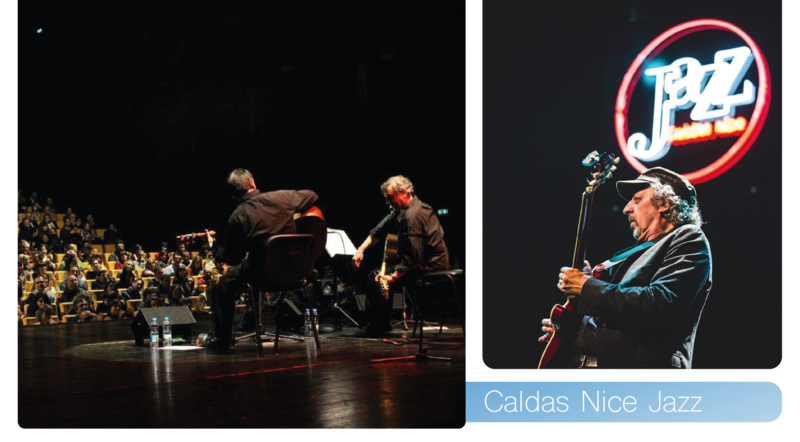 With international and local bands and artists performing in places like the cultural centre, the bus station, squares, restaurants, hotel lobby’s and cafes, this is a festival, not only designed to celebrate music, but the town too. Description: Many of Portugal's famous pastry and dessert recipes originate in convents and monasteries, in 1834, after the Portuguese Civil War, the king suppressed all religious orders and confiscated much of their property. In need of money to support themselves they created pastry recipes made mostly from egg yolks and sugar which continue to be sold today. 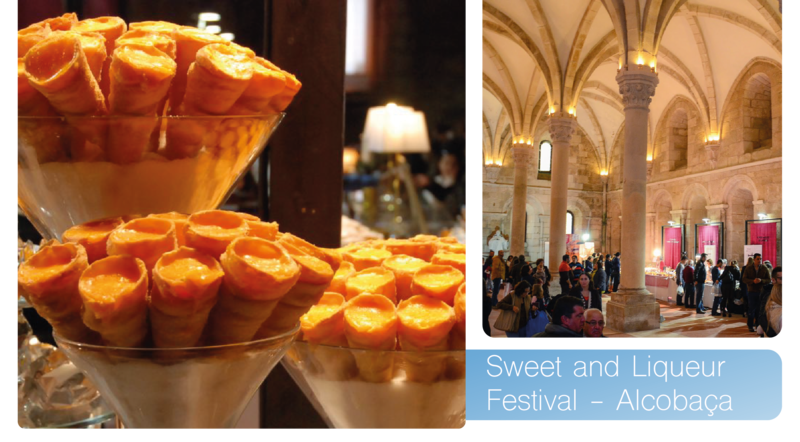 Once a year, visitors can enjoy tasty treats and liqueurs at the magnificent monastery of Alcobaça. There is also an incredible lazer show, projected onto the roof of the ancient monastery. 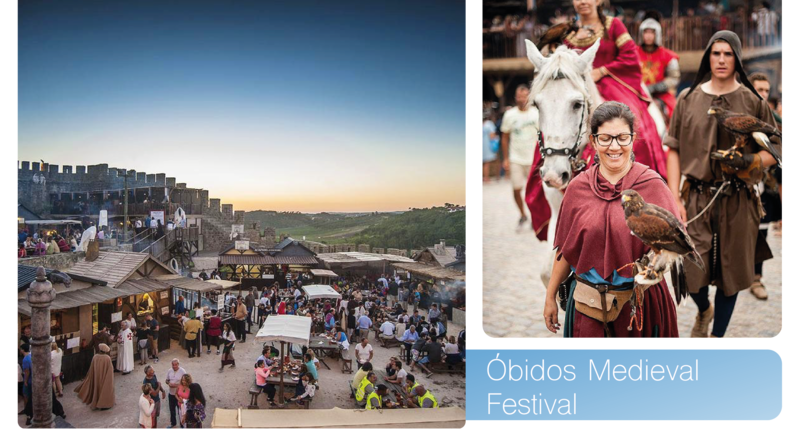 Description: One of the most spectacular festivals in the area is the Medieval Festival, when the castle is taken back in time and transformed with horse displays, medieval shows and actors in costume mingling with the crowds and acting out the parts of medieval citizens. There is an array of food and drink available, as well as a stage with various performances from folk bands, to belly dancers, to jesters and fire breathers. A wonderful event for the whole family. 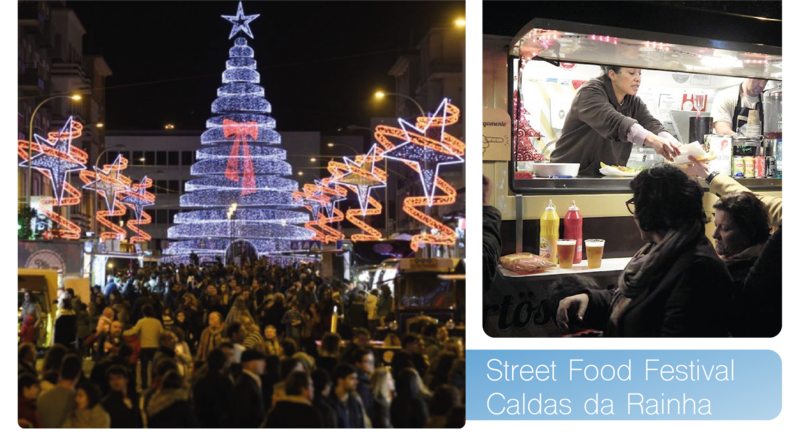 Description: Becoming one of the most popular events in the Silver Coast, the Caldas Street Food Festival helps to bring in the Christmas cheer, food caravans line the sidewalks and the streets glowing underneath the beautiful Christmas lights The entire street gets closed off and families can wonder up and down looking for something from one of the many food trucks. 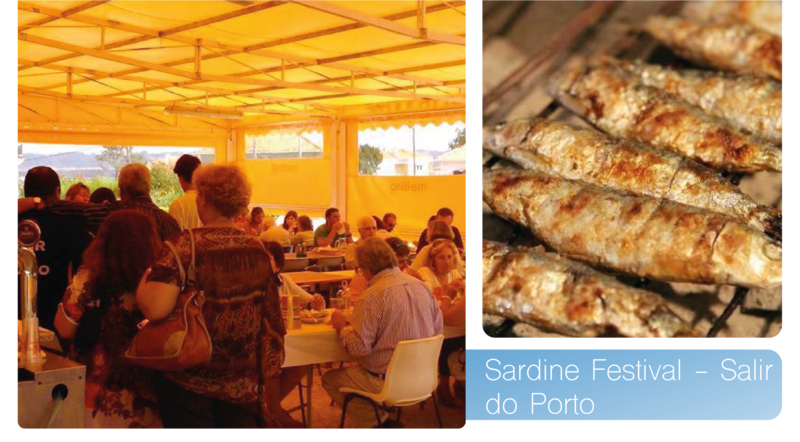 Description: For a truly memorable, simple, delicious, authentically Portuguese experience, look no further than the sardine festival of Salir do Porto, the bay side village put on a lovely event that is spread across a weekend, which includes grilled sardines, local wines and beers and live music at the end pf the night. 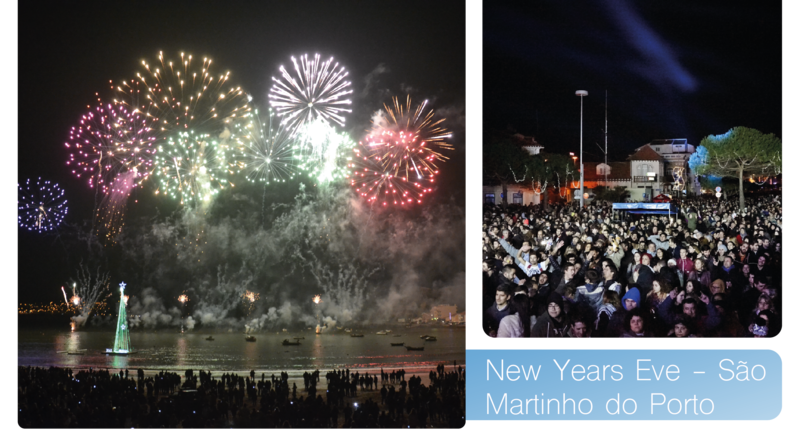 Description: The best new years event on The Silver Coast, if not in the country. Have dinner at one of the many restaurants in the village and then make your way down to the beach with your family. Enjoy a safe, family friendly environment, with live music and the biggest floating Christmas tree in Europe. At midnight, the sky is illuminated with an incredible fireworks display. What a way to bring in the new year. Description: This event has been going since 1960 and is one of areas most popular. 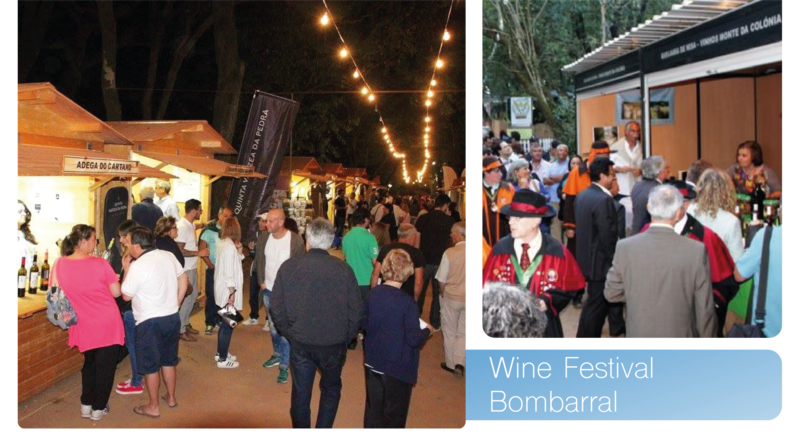 Held in the forest of Bombarral, upon entry guests are given a glass and can go from stall to stall trying different wines from all over the country. The wine is also available to buy at wholesale prices and there are also food trucks and pop up restaurants so that, in true Portuguese fashion, no-one goes hungry. Live music then takes lace at the end of the night, on the main square of Bombarral. 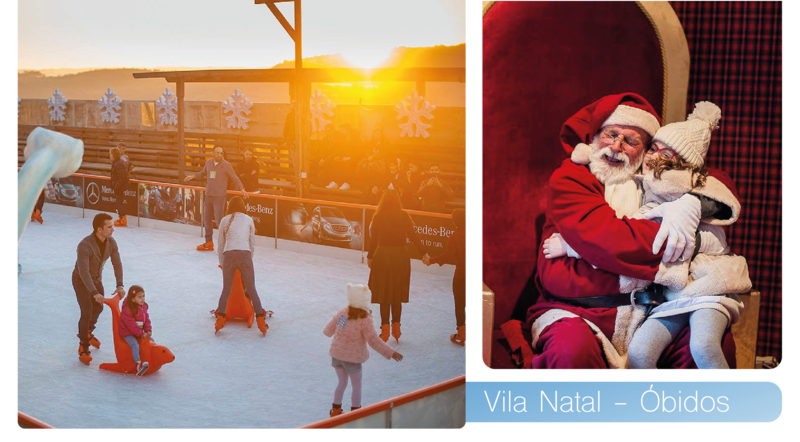 Description: In the month before Christmas Óbidos Castle is transformed into a winter wonderland, complete with snow machines, ski slope, skating rink, beautiful lights, food stalls, shops and, of course, Santa Clause. A lovely outing for the whole family, with food, live music and plenty of Christmas cheer.